ASTANA. KAZINFORM The Strategic Session of the XI Astana Economic Forum with the participation of Kazakh Prime Minister Bakytzhan Sagintayev was held at the EXPO Congress Center in Astana, Kazinform cites primeminister.kz. 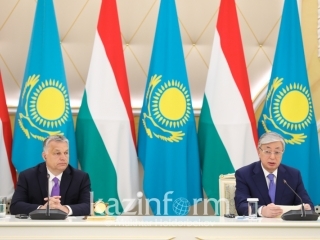 The roundtable included brainstorming sessions in six areas of development of the Republic of Kazakhstan. 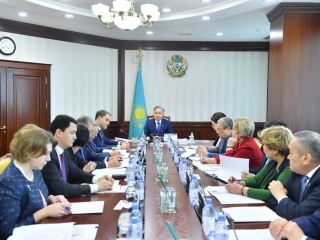 Top Kazakhstani and international experts, business, and government representatives discussed the implementation of breakthrough projects and decisions on the following priority areas: institutions and economic policy, human capital, digitalization and information technologies, new money and financial sector, clean energy, and green technologies, urban development. Prime Minister Bakytzhan Sagintayev addressed the Strategic Session. Summing up the results of the three-day informative intellectual marathon of the Global Challenges Summit, the Prime Minister said that the AEF Strategic Session will take all conclusions, proposals, and recommendations from the discussions and choose useful ones for the Government in the practical work of its bodies. Sagintayev drew attention to the 5 megatrends outlined by the Head of State: widespread digitalization, energy revolution, the growth of the world population, changing pace and nature of urbanization, the transformation of the global labor market. At the same time, the Prime Minister stressed the importance of the joint search to respond megatrends. 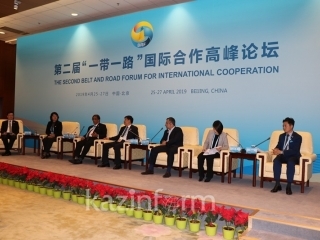 In the first direction of the brainstorming "Institutes and Economic Policy", the session participants discussed the issues of technological modernization and new markets for Kazakhstan, macroeconomic stability amid global turbulence, structural reforms in the face of global economic challenges, tools for reducing inequality, and stimulating investment activities. Director of the Rakurs Center for Economic Analysis Oraz Zhandossov moderated the session. Among the experts, there were Minister of National Economy Timur Suleimenov, Director of the ADB Permanent Representative Office in Kazakhstan Giovanni Capanelli, Senior Director for Development Economics of the World Bank Shanta Devarajan, Senior Advisor at the UNDP Regional Bureau for Europe and the CIS Ben Slay, President of the Nazarbayev University Shigeo Katsu, and others. In the second direction on the human capital development, the participants raised questions on what kind of education should be in Kazakhstan in the 21st century, about the introduction of new technologies, such as web 2.0, augmented reality, the Internet of things in the learning process. 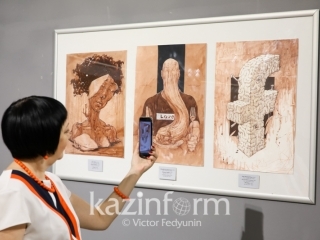 The proposals of experts on the development of creative industries and the stimulation of creative activity, as well as tools for attracting human capital into the country, were considered. Managing Partner at Medme Ilya Slutsky moderated this direction. The experts included Ministers of Education and Science Yerlan Sagadiyev, Labor and Social Protection of the Population Madina Abylkassymova, Member of the Board at Lifespan.io crowdfunding platform and Life Extension Advocacy Foundation Elena Milova, Professor of Practice at the Moscow School of Management Skolkovo and Member of the Expert Council at the Agency for Strategic Initiatives Pavel Luksha, and others. In the direction of digitalization and information technologies, the current situation and challenges of digital public administration, defining the priorities of Kazakhstan based on key strategies and successful practices of public administration in the era of universal digitalization were discussed. The experts proposed solutions on the digitization of companies and businesses, the development of their own cluster of IT projects and the promotion of transfer of advanced technologies to Kazakhstan. The moderator of the direction was Philip Serazhetdinov, Partner of GVA Kazakhstan. Minister of Information and Communications Dauren Abayev, Research Officer at the King's College London Grigory Asmolov, former Deputy Chairman at Central Bank of the Russian Federation Mikhail Senatorov, Chairman of the Canada Eurasia Russia Business Association Gilles Breton, BCG Kazakhstan Partner and Managing Director Sergey Perapechka, and others shared their vision. In the direction of new money and the financial sector, the attention of experts was drawn to the issues of advanced regulation, how to build a competitive financial center. Topics discussed include the introduction of new money technology, specific projects that can be implemented in Kazakhstan on the detachment and the most beneficial ways of using the future money technology. The moderator here was Managing Partner of Tomashevskaya & Partners Zhanna Tomashevskaya. Proposals and recommendations were shared by Minister of Finance Bakhyt Sultanov, Deputy Chairman of the National Bank Oleg Smolyakov, Global Head at Earthport - cross-border payments Harold Bosse, Founder of FinTechStage, Matteo Rizzi, and others. A rich and constructive exchange of views took place during the discussion of the fifth direction of the program "Clean Energy and Green Technologies". As the forum participants pointed out, in the age of rapid development of various future technologies it is important to modernize the economic sectors for preserving natural resources and use alternative energy options. Questions were raised about what institutional, financial and technological barriers exist for the growth of the green economy in Kazakhstan, how to encourage business to invest in energy-efficient solutions and innovations. Also, ways to increase the competitiveness of the fuel and energy sector of Kazakhstan, attract investment, digitalization of the fuel and energy complex, increase the depth of processing were also considered. The issues of green economy, barriers, and incentives for its implementation, taking into account the world experience, were reflected in the speeches of experts - Minister of Energy Kanat Bozumbayev, Director of the Kashgar Research Center, Institute of Remote Sensing and Digital Earth, Chinese Academy of Sciences Dr. Bihong Fu, Vice President at Beijing PIESAT Information Technology Guo Tao, and others. The moderator was the project manager of Sputnik CC, Vadim Dolganov. Experts on the sixth direction of "Development of Cities" session tried to predict what cities will be like in 2050, and how successful megacities in the 21st century and a modern megapolis in Kazakhstan should look. Megaprojects for megacities of Kazakhstan, development of their transport system, ecology and issues of improving the quality of life and urban environment were discussed by the following experts: Vice Minister of National Economy Aibatyr Zhumagulov, Deputy Mayor of Astana Malika Bekturova, Co-Founder, former Program Director and Honorary Member of World Future Council Herbert Girardet, Founder and Director of Atomik Architecture, Mike Oades, and others. Managing Partner of GVA Kazakhstan Bulat Stolyarov moderated the discussion. Following the discussions, the moderators of the working groups made presentations of the results of brainstorming sessions. 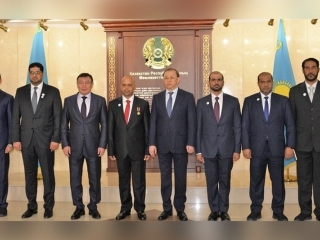 The package of experts' proposals, named as "Top Necessary Solutions and Development Projects of the Republic of Kazakhstan" was made. All expert recommendations and proposals will be summarized, grounded on the Kazakhstan national agenda.